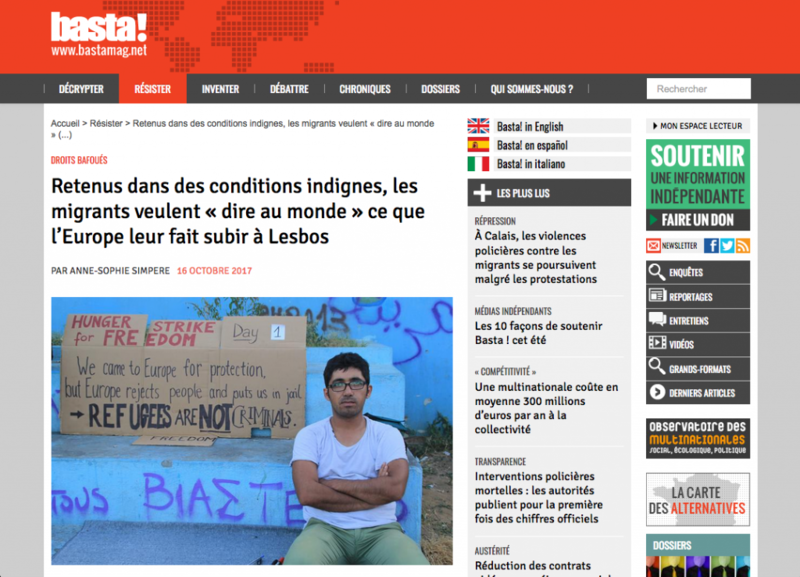 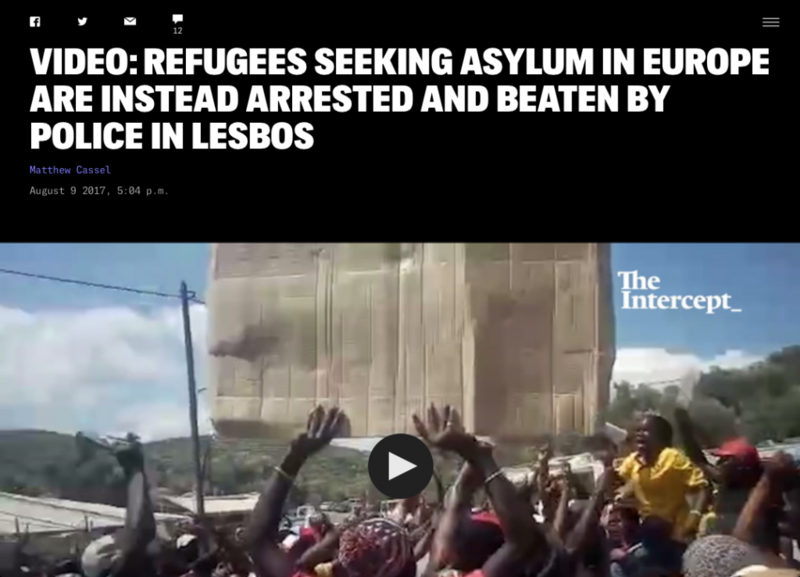 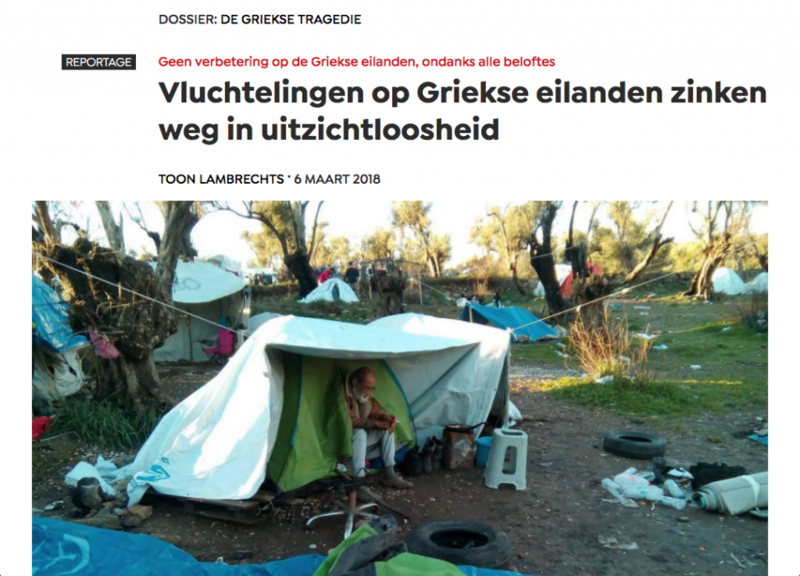 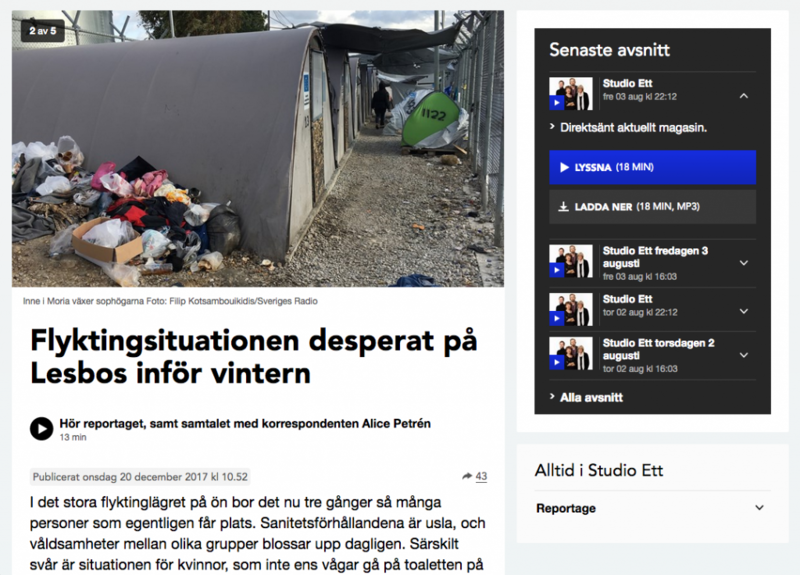 Flyktingsituationen desperat på Lesvos inför vintern, Sveriges Radio, 20 December, 2017 (Swedish). 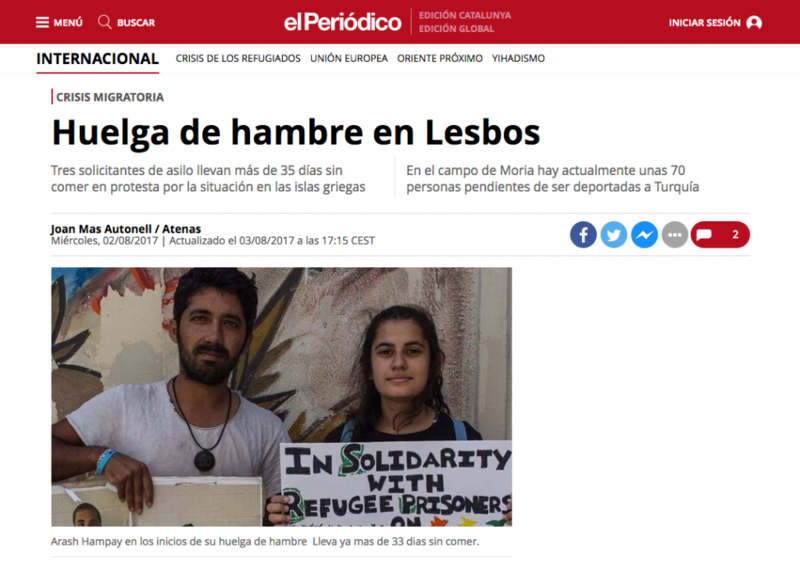 Hoy por Hoy, Cadena Ser, 27 November 2017, beginning at minute 38 (Español). 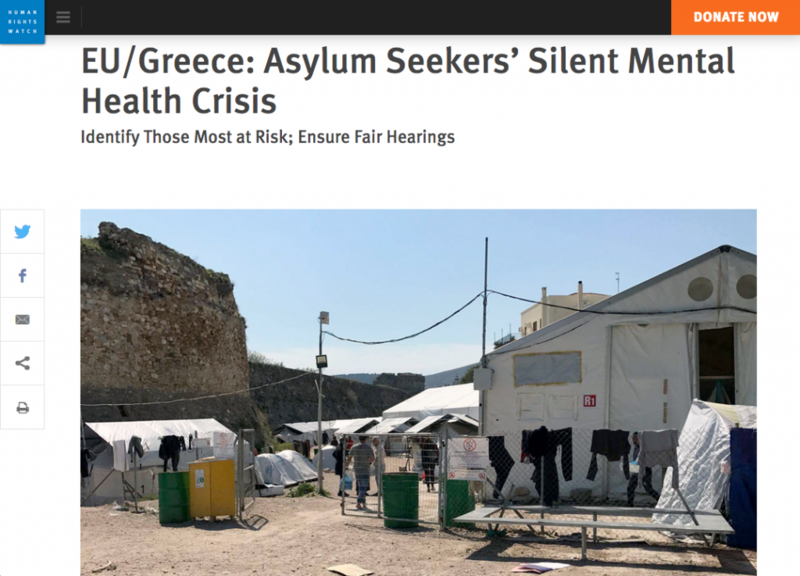 EU/Greece: Asylum Seekers’ Silent Mental Health Crisis, Human Rights Watch, 12 July 2017. 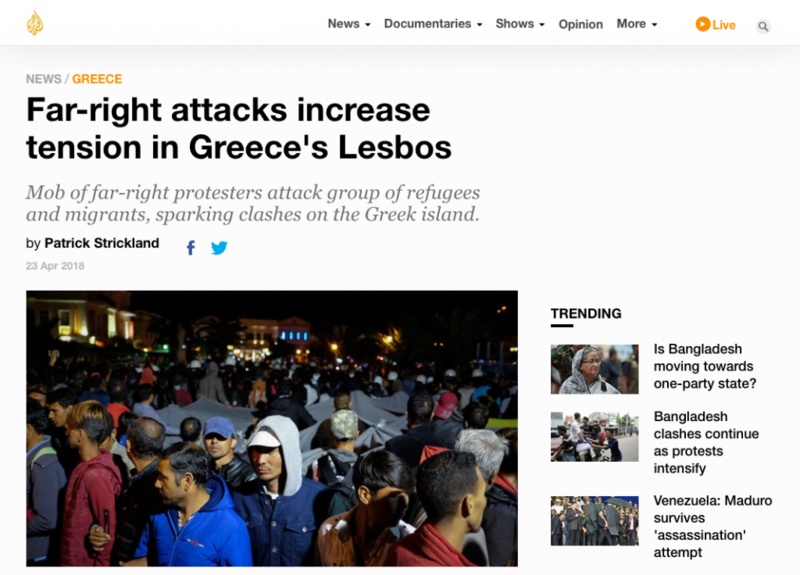 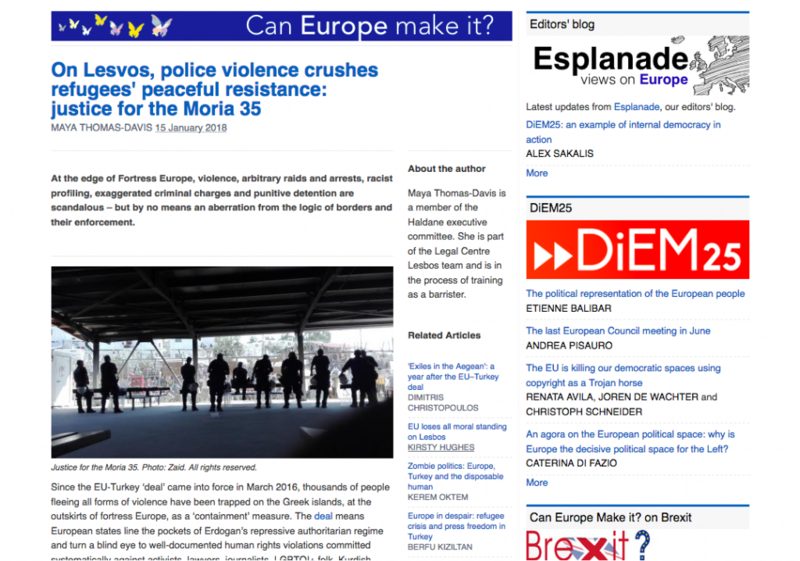 EmprosNet.gr, 01 September 2016: an article about the Mosaik Support Center, where our Legal Centre is located (english translation available here).